Welcome to the North Bradley Parish portal, which serves the Villages of North Bradley, Yarnbrook, and Brokerswood. 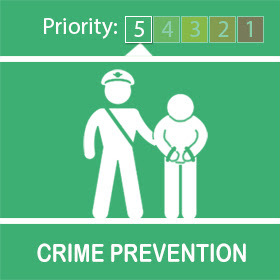 Please browse the various news items which appear.The website also contains valuable information about various aspects of our community, from facilities, to shows and groups in the parish If you are searching for something in particular, please use the search facility at the top of the site. If you have any news items you wish to submit, please contact the Parish Council using the link above.. There is a vacancy for a Councillor on The North Bradley Parish Council. At the Peace Memorial Hall on Saturday 27th October 4pm - 7pm. Entries can be a painting, a drawing or a photograph. All entries will be exhibited at the Peace Memorial Hall on Saturday 10 November 2018. Prizes for paintings, drawings or photographs in each age group. North Bradley Parish Council began working on your Neighbourhood Plan around three years ago. The plan gives parishioners direct power to deliver their vision of the change they want to see.A key issue has been keeping North Bradley separate from Trowbridge which the Plan will help to do. This week we are highlighting the complexities and dangers of cyber crime as part of our summer-long Beyond the Beat campaign. 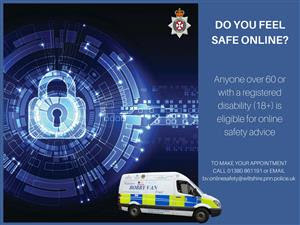 The Wiltshire Bobby Van Trust have an online safety team who can support you in your own home and on your own device. Anyone over 60 or with a registered disability (18+) is eligible for online safety advice. Great Western Rail will have no trains between 15th December and 3rd January through Westbury due to signals being moved and platforms being lengthened to accommodate new longer trains. A bus service will be in operation to transport passengers. The Novelty Dog Show has been re-arranged, and will take place on Sat 29th September. Registration 10.30. North Bradley Peace Memorial Trust Recreation Ground is recognised as one of the UK’s very best green spaces. This is due to go before Cabinet members of Wiltshire Council on Tuesday 3rd July before going to full Council on Tuesday 10th July. As you will know, the community have been working to create a neighbourhood plan for the village. This neighbourhood plan would, for the first time, mean that local residents and not officers at Wiltshire Council, would decide where any new houses go and, crucially, how many there would be. However, officers at Wiltshire Council intend at its meeting on 3rd July, to persuade county councillors to ignore all our hard work and instead press ahead with imposing their Housing Site Allocations Plan (HSAP) on us. This will at a stroke destroy hundreds of hours of volunteer work and waste thousands of pounds of public money in terms of grant aid. Please contact the following to raise your objection to the HSAP’s destruction of both YOUR neighbourhood plan and Greenfields. Do you look after, or help to look after a loved one or friend?